The Ark Of Corn, Uncle Tupelo, And Red Wattle Pigs. Above our heads in the Sistine Chapel, Michelangelo offers us a calm, High Renaissance view of mass extinction; whereas, The Flood (1588) by Kaspar the Elder Memberger has a darker tone. Then the Lord said to Noah, “Go into the ark, with all your household, for you alone have I found righteous before Me in this generation. Of every clean animal you shall take seven pairs, males and their mates, and of every animal that is not clean, two, a male and its mate; of the birds of the sky also, seven pairs, male and female, to keep seed alive upon all the earth. 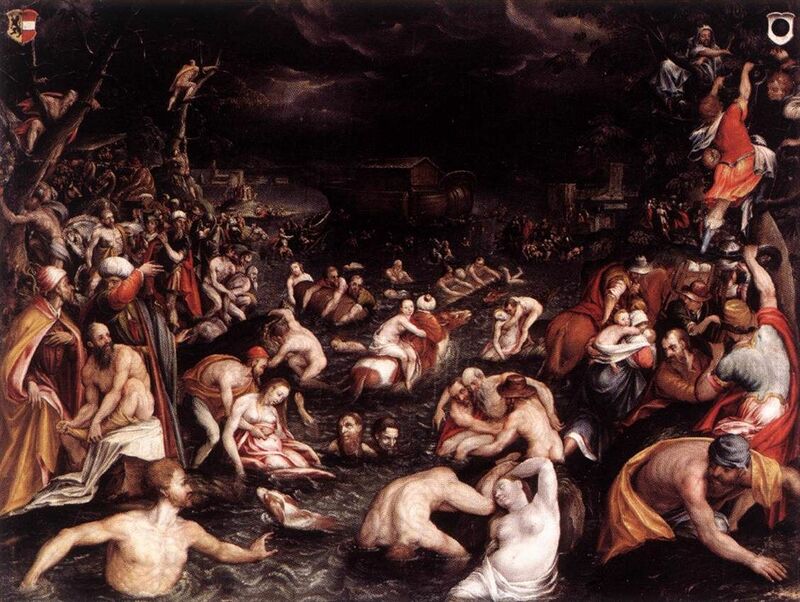 In Genesis a flood destroys most life on Earth. Extinctions come with the planet. The Permian-Triassic extinction, also known as The Great Dying killed off 90-96% of all species. We live in a time of extinctions occurring at a high rate, and it appears humans have much to do with a current rate 1,000 times more frequent now than in the 60 million years before people came along. 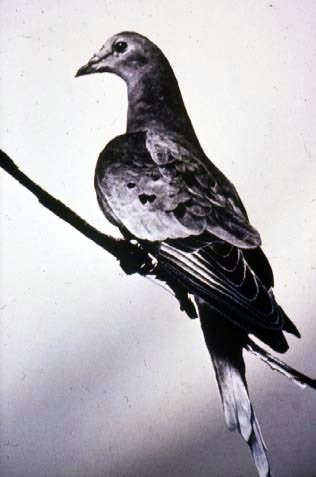 Here’s a photo of Martha, the last Passenger Pigeon. As the BBC reported earlier this year, the diversity of flora and fauna in the world constantly disappears, which leads to a wide-range disappearance of food for our tables. Anson Mills provides one response by recovering almost-extinct heirloom grains and growing them for chefs like Sean Brock and Dan Brown. In The Third Plate, Brown narrates Glenn Robert’s (founder of Anson Mills) discovery of rice and corn from his youth. In Houston, you can stop by DownHouse and have a fine taste of Anson Mills in polenta in their Shrimp and Grits. It’s with Carolo Petrini’s Slow Food movement, where we really see the effort being made to stave off losing more heirloom produce–The Ark of Taste. Imagine, a project to not only record and store the essential varietals of the world, but also to encourage their production and use. Raised in Eastern Texas, the Red Wattle Pig is in the Ark. 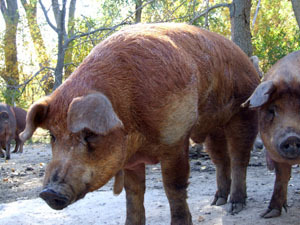 By the way, Revival Market features a Mangalitsa/Red Wattle cross breed. Eat the belly, trotter, ear of this animal and you are ensuring the continuation of a species and nose-to-tail eating. And yes, both are good. So, take a look at the selection in Petrini’s Ark, and see what you can support locally. So as with the words in Genesis, preserving seed remains our united human mission as well. Previous Previous post: Cooking: A Faustian Wager.